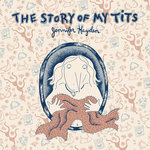 Jennifer Hayden came to comics from fiction-writing and children’s book illustration. 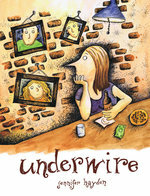 Her first Top Shelf book, the autobiographical collection Underwire, was excerpted in Best American Comics 2013 and named one of “the best comics by women” by DoubleX. She is a member of ACT-I-VATE (the premier webcomics collective in New York City), her webcomic S’crapbook earned a Notable listing in Best American Comics 2012, and she continues to update the diary strip Rushes at thegoddessrushes.blogspot.com. Her comics have appeared in print anthologies such as The ACT-I-VATE Primer, Cousin Corinne’s Reminder, and The Strumpet. She lives in central New Jersey with her husband, pets, and sometimes two college-age children. You can visit her online at www.jenniferhayden.com and goddesscomix.blogspot.com.